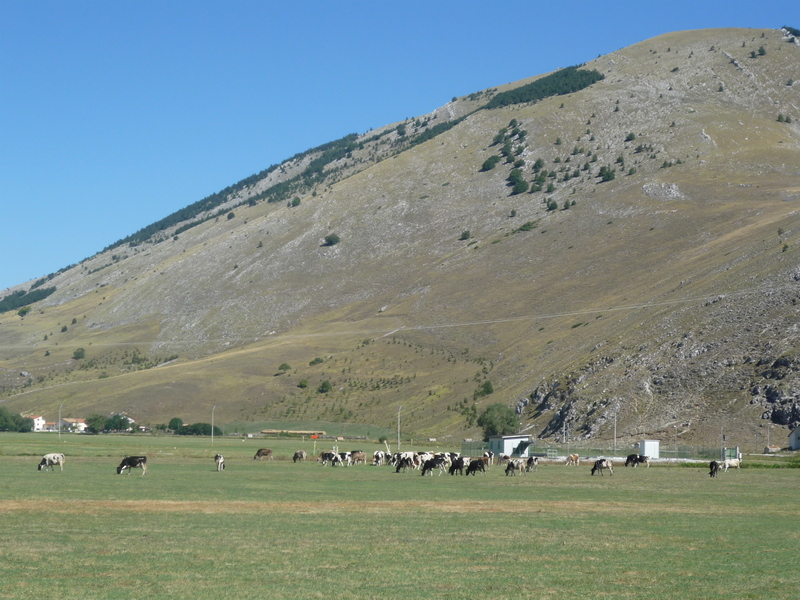 The main and only airport in Abruzzo is the Abruzzo International Airport, located in Pescara. It is a small airport but with several flights from different countries (UK, Germany, Belgium, Spain, etc). If your flight does not arrive in Pescara, the biggest closest airport is Rome, located at around 2h-3h driving – depending on your destination. There are several trains and buses departing from Rome airports or Rome central station to the main cities in Abruzzo (such as Pescara, Chieti or L’Aquila). Once you arrive in the region, you better rent a car, since the internal transports are bad or inexistents. There are some buses running from a town to another, but there are really few per day and might take too longtime, besides renting a car over there is not so expensive. 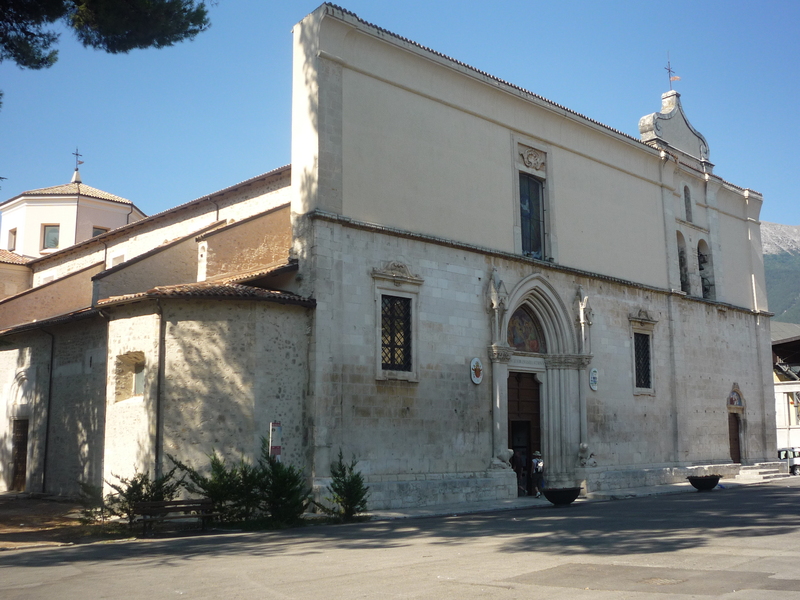 You can find car rental companies in Pescara or Rome airport. 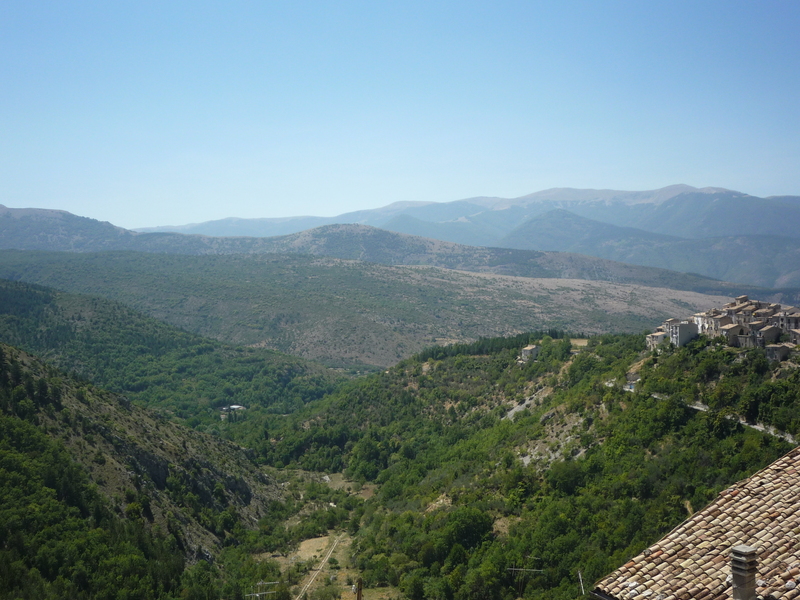 Except for the motorway, most of the streets in the region are small and with a lot of turns, but with fantastic views and with no traffic at all. And here we start the discover of this fantastic region that for me has a very special meaning, since it’s the place where I was born and I grew up. In this trip we will focus on the mountain area, but of course if you have more time you can still have a tour along the coast (an itinerary about the coast will be available in this blog very soon). 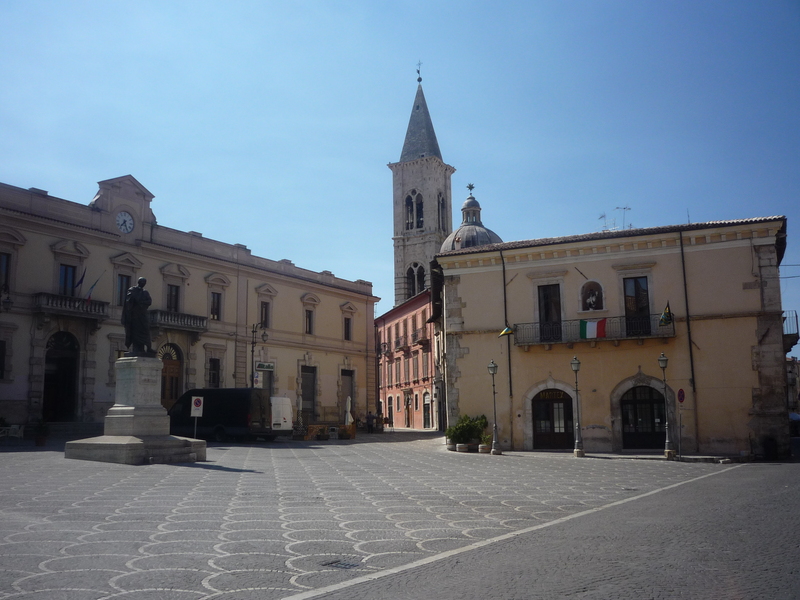 Arriving from Pescara airport, you can have a stop in Guardiagrele, a very beautiful and historical town, located around 30km from Pescara. The old city centre is very nice and with a very nice view on the surroundings. At 20kms you will arrive at what I call “the best place on Earth” :-), the place where I was born and where I have lived for many years: Fara San Martino. This village is everything to me: it’s where my family is, where my roots are, and it’s where I always feel at home and I always come back with pleasure. 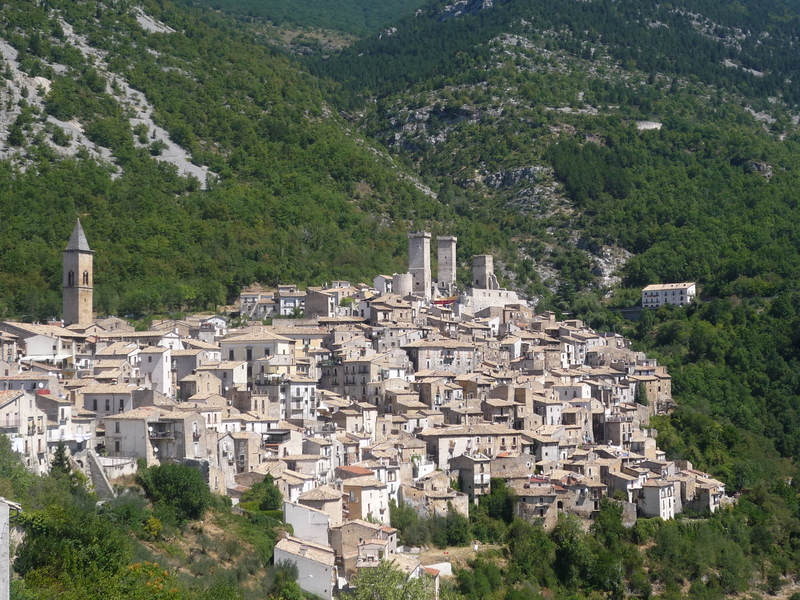 This village is very small (around 1500 inhabitants), but full of charm. 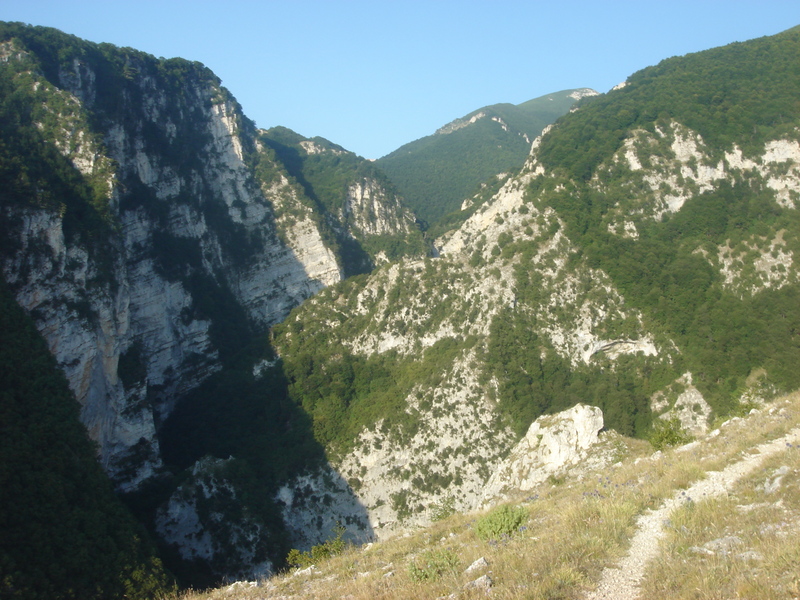 It is located just down the Majella mountain, so it’s surrounded by these beautiful and green rocks. 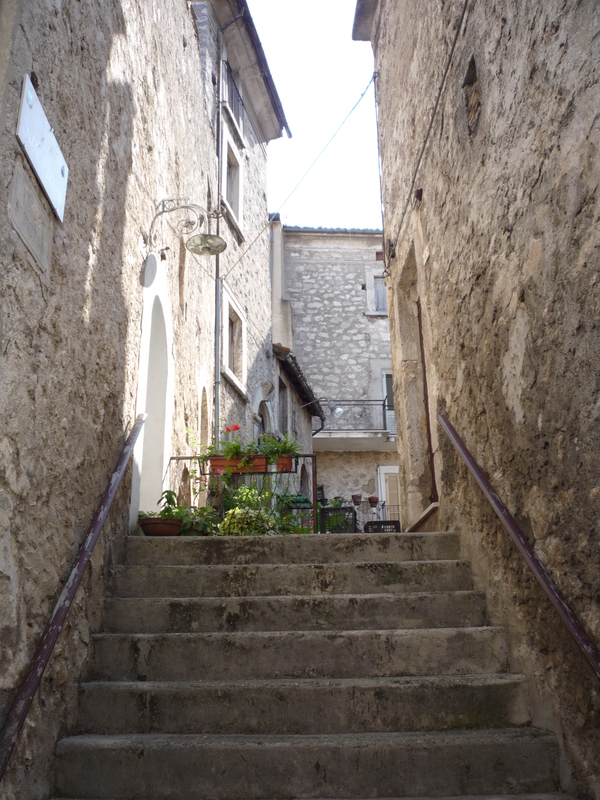 The nature is amazing and the village is very beautiful: small, with narrow and ancient streets, with nice houses built in stone. Few bars, few restaurants, few shops managed by families, but four big pasta factories worldwide known. 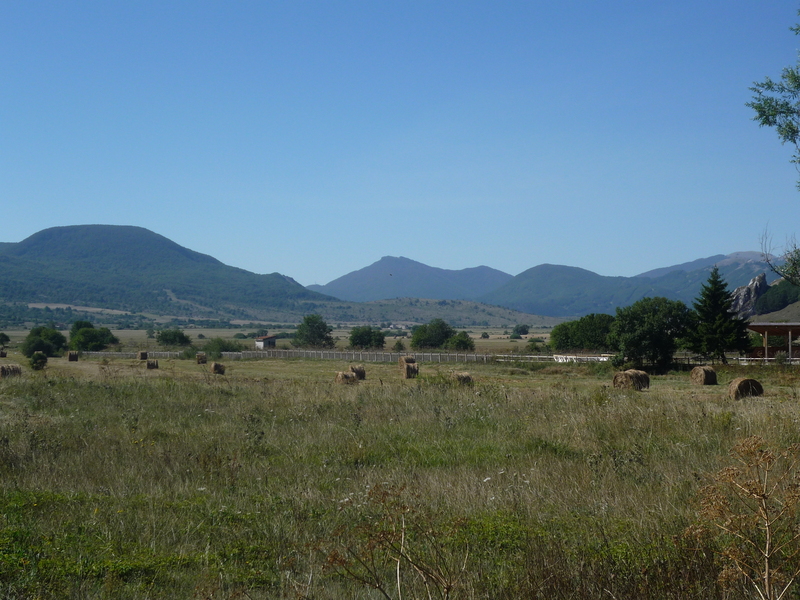 I’d suggest you to spend the night in Fara and enjoy the relax and the nice company of the people. 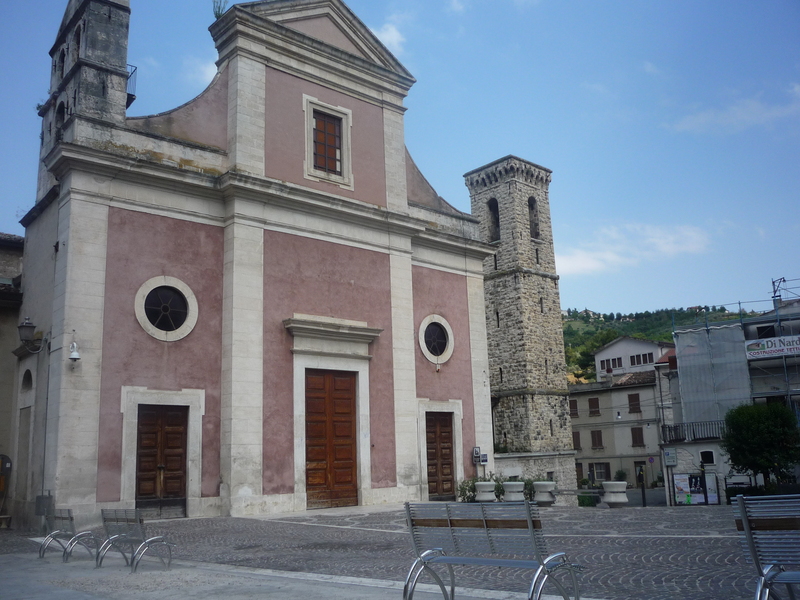 First, have a nice walk in Piano dei Santi and Piazza del Municipio, the main squares of the city. 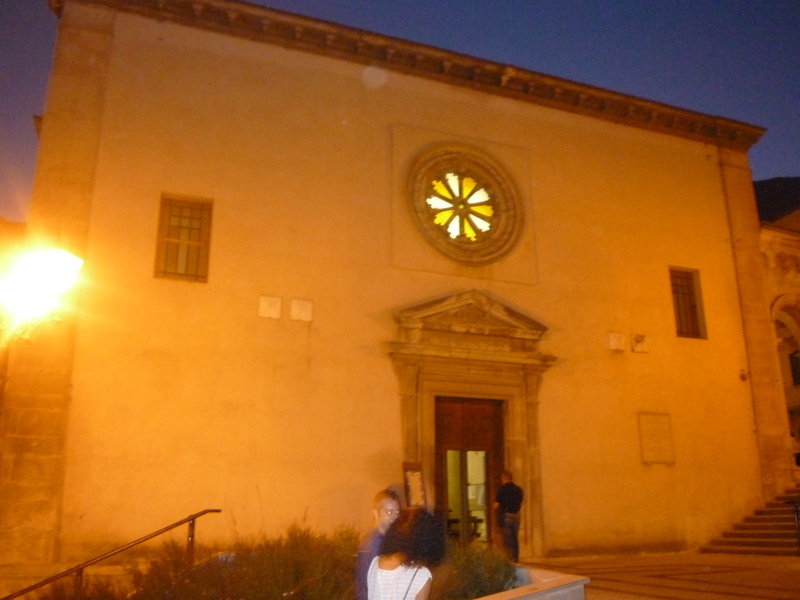 From Piazza del Municipio, you will get access to Terravecchia through the great Porta del Sole. 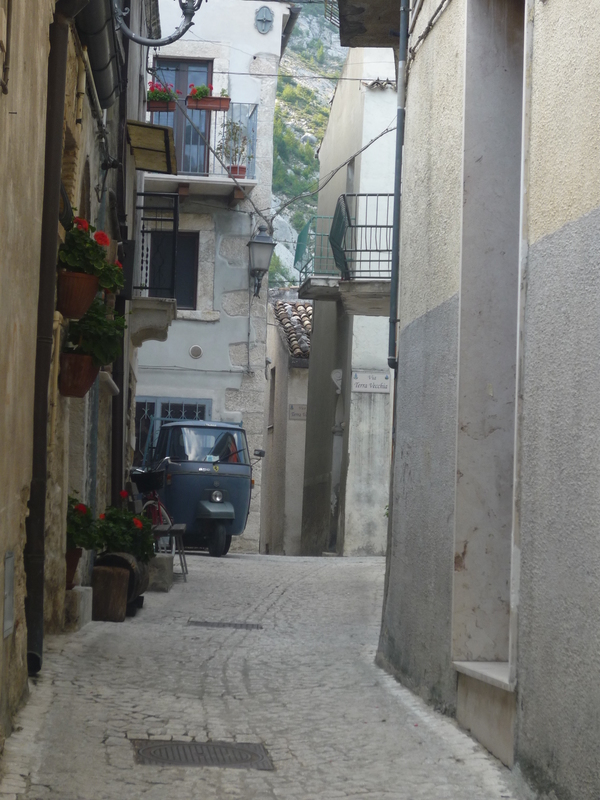 Terravecchia is the oldest part of the village, a very nice area where streets are so narrow that car cannot get access. There you will see very ancient but well-kept houses and the streets will end up to a fantastic view facing the mountain. From Terravecchia keep on going down and follow the sound of the river: you will arrive at the Sorgente area, where the Verde river is. The river takes its name from its color, that is indeed deep green. 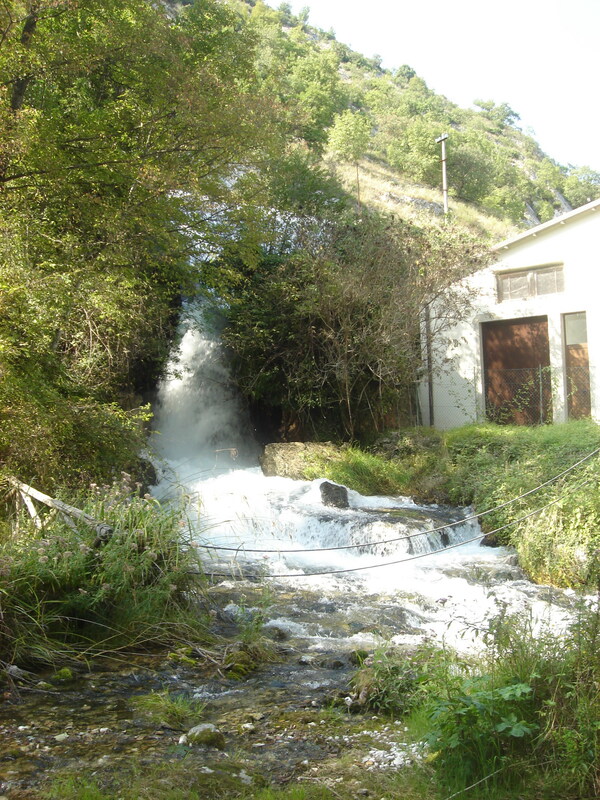 The water comes directly from the mountain, therefore it’s very fresh and clean. There are several waterfalls everywhere, where you can enjoy the drops of water coming to your face. There are picnic tables and fountains, so take some food with you and enjoy a nice picnic over there. The water from the fountain is extremely clean, once you taste it it will not be so easy to come back to the water bottles of the supermarkets. Following the river, you will get closer and closer to the mountain….but this is part of the itinerary of the second day, as it’s important to do it early in the morning. 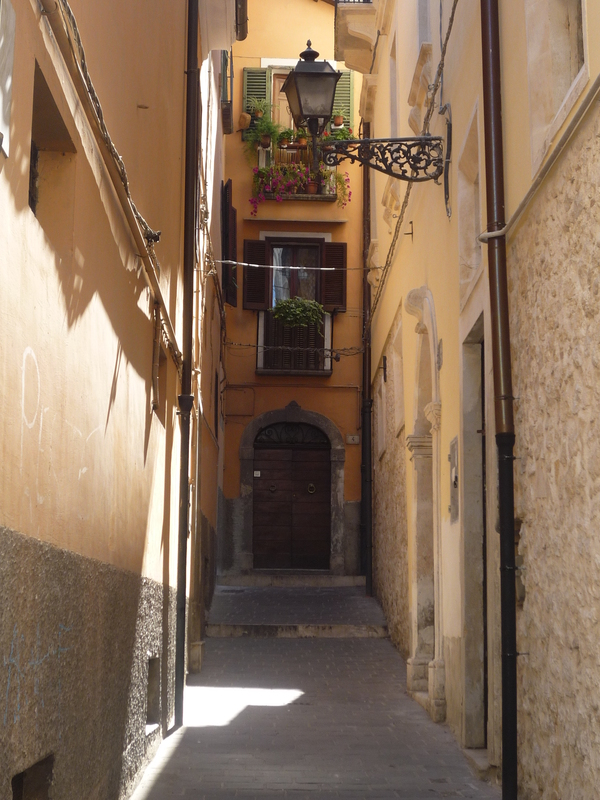 So at a certain point instead of going towards the mountain, take the street that goes up and you’ll arrive in San Pietro district, another very old area of the city with small and characteristic houses. After this enjoyable walk, your day is over, so you can just have a last walk in the village and go and have dinner somewhere. 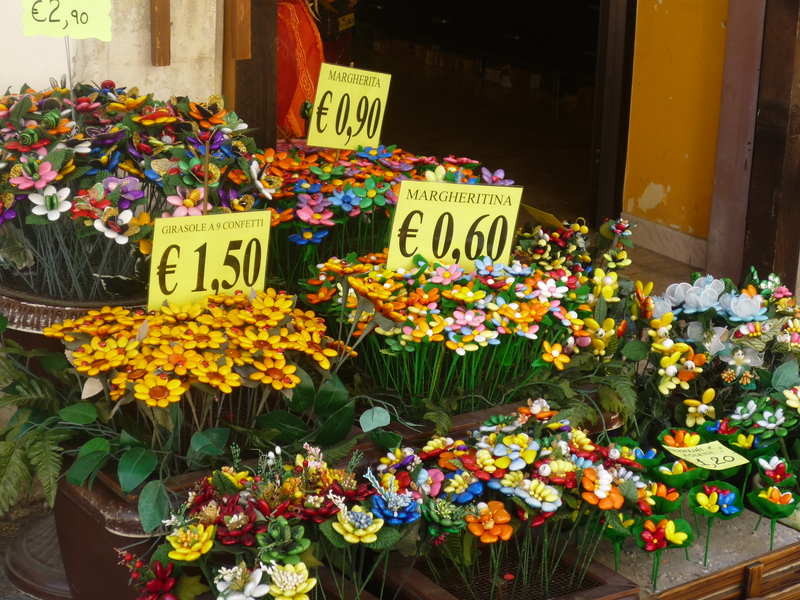 If you still have time and you have a big luggage with you, I’d suggest you also to have a visit to the shops located in the pasta factories, where you can find delicious pasta at a very good price (since it’s the factory price). It would be very interesting to visit the pasta factories and see how pasta is produced (I did it twice in my life and I simply loved it! 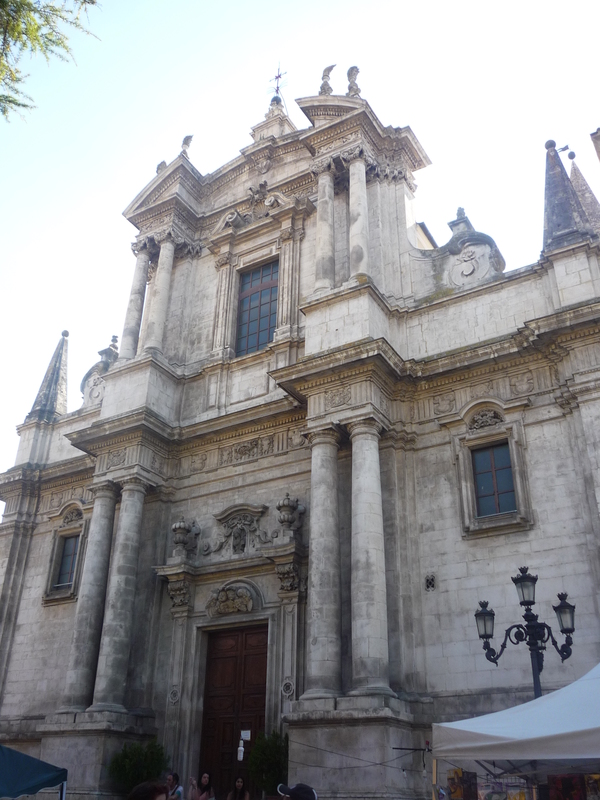 ), but unfortunately the visits are possible only for groups and upon reservation. The second day will be tiring but also will be one of the most beautiful of your trip. In order to enjoy it at its best and not to incur in any sun burn, you need to wake up very early and start the visit of the mountain at around 7:30. 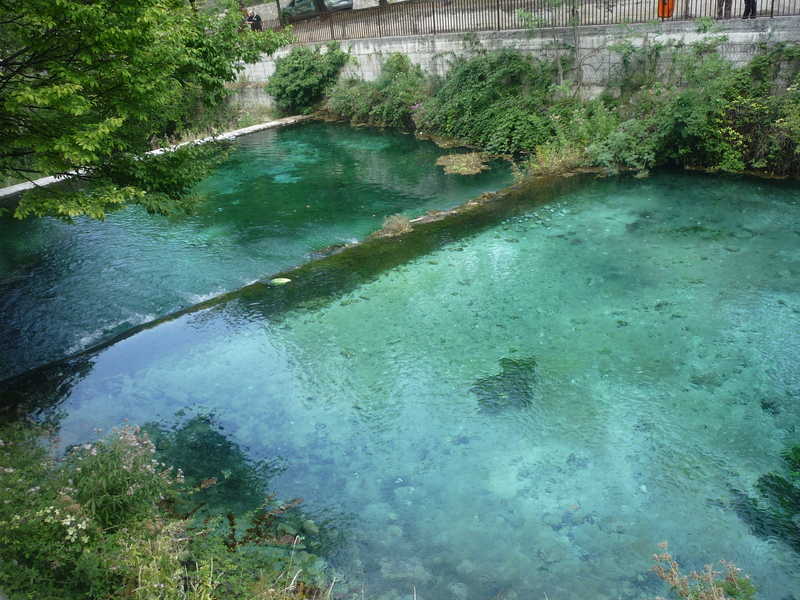 The tour starts from the area just after the river, where you will be able to reach the Gole di San Martino. 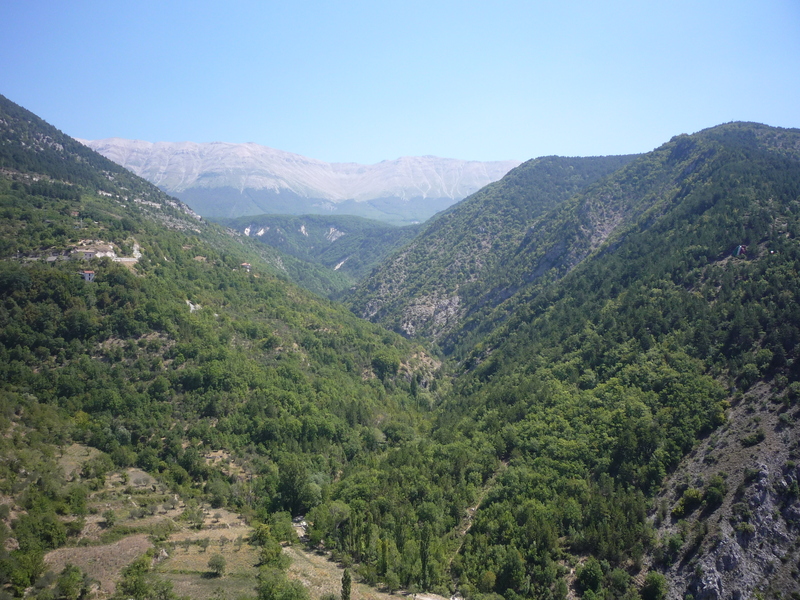 The Gole (which means “throats” in English) come from a very narrow space between two mountains. In order to get access to the mountains, you need to cross this very small corridor. After you cross the Gole a unique and wonderful landscape will be in front of you. At the entrance it’s very interesting to see the ruins of a very ancient monastery that was covered by the stones many centuries ago and that now has been discovered again. 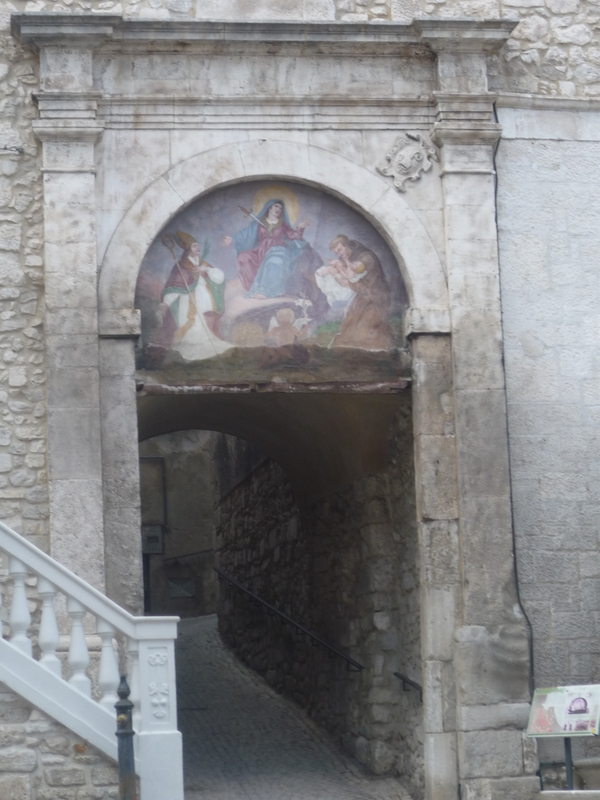 You can admire the walls, the doors, the columns and the historical objects that were in this monastery. After the monastery you can start your tour up to the mountain. 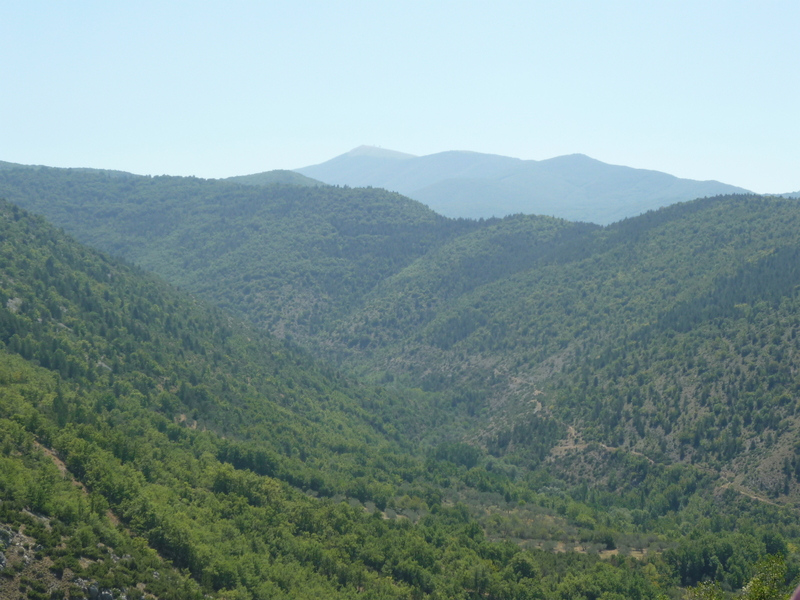 A walk in the mountain over there is very safe, as long as you follow the authorized path. You’ll find yourself surrounded by a fantastic nature. 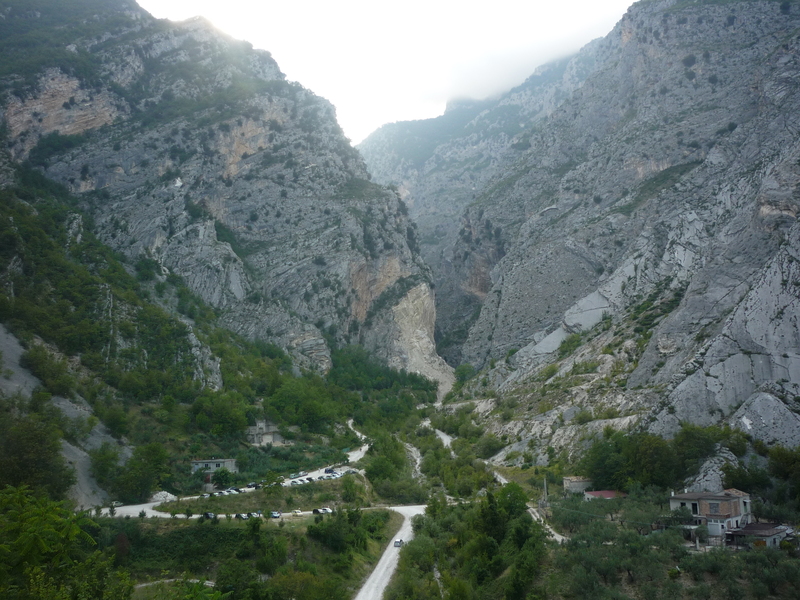 Once you arrive at the top (it should take around 2-3 hours, according to your speed) you will be able to admire the entire valley ….a view that will leave you breathless! Stay there and enjoy the silence, the fresh air and the colors! 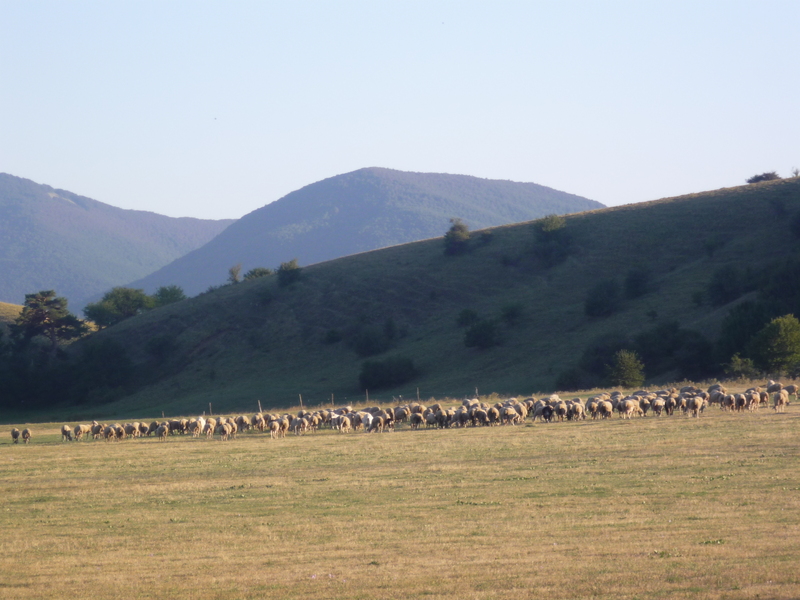 And with a little bit of luck you will also run into Domenico, the only shepherd of the area, and its numerous goats. Besides trekking, there are also other activities that you can enjoy over there and in the surroundings, such as rock climbing or rafting. 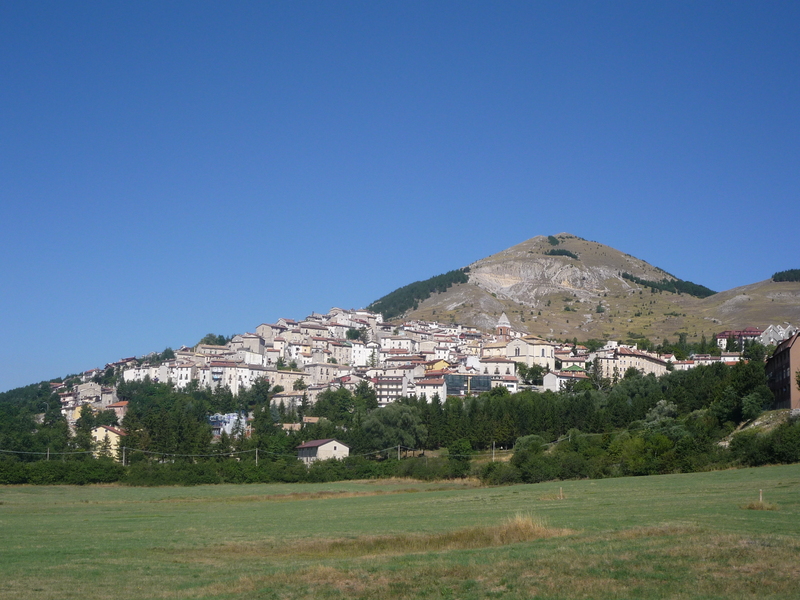 In the afternoon-evening, you can have a quick tour in the village or you can have a nice walk in Civitella Messer Raimondo, a very small village at few kms from Fara located on the top of a hill and with a very nice view. 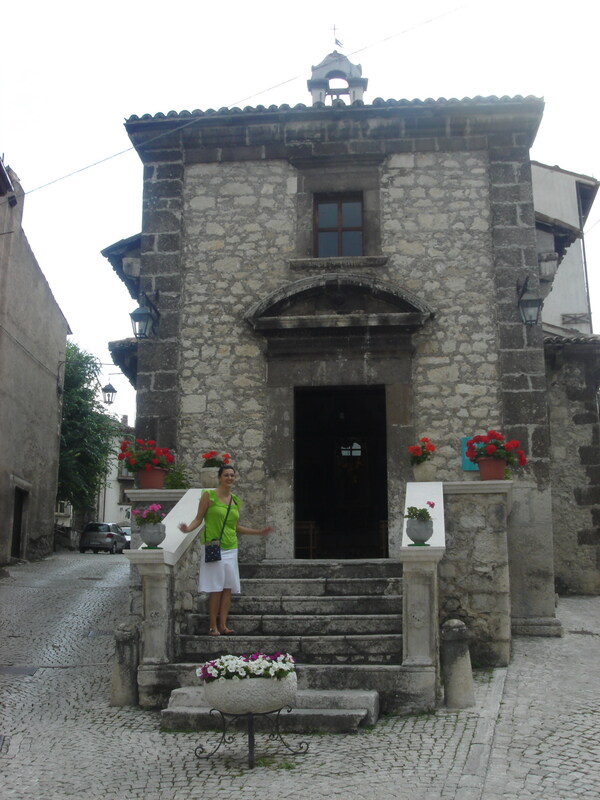 On the third day, you can visit another nice town just next to Fara: Lama Dei Peligni. Located at 10kms from Fara, this village has a very special meaning to me, since it’s my mother’s birthplace and where most of my family lives. The visit of the village will take you 1 or 2 hours, but it’s definitely worth! 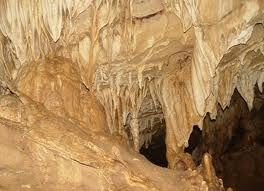 In the morning, you can visit the famous Grotte del Cavallone, located few kms away from the village. 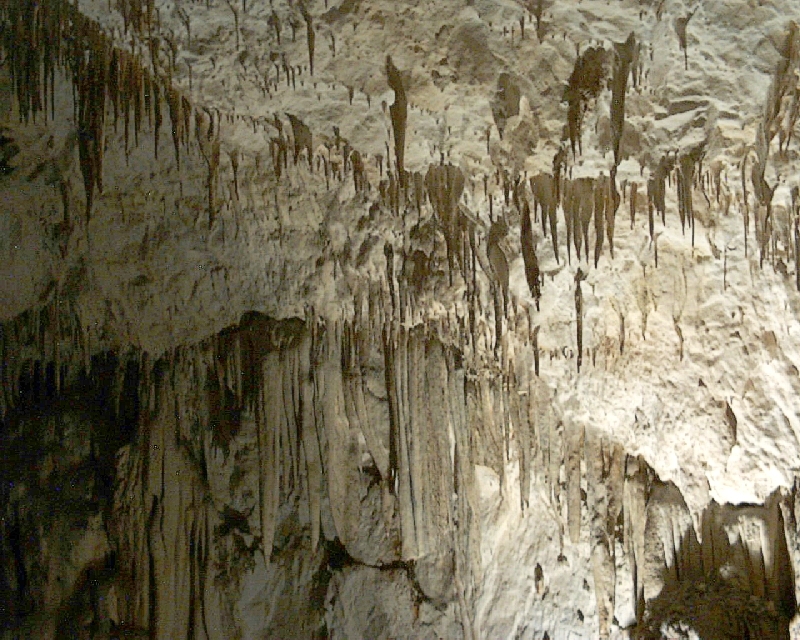 These are ancient caves with amazing stalagmites, flowstone, and rimstone pools everywhere. You can access there via tiny cable cars. 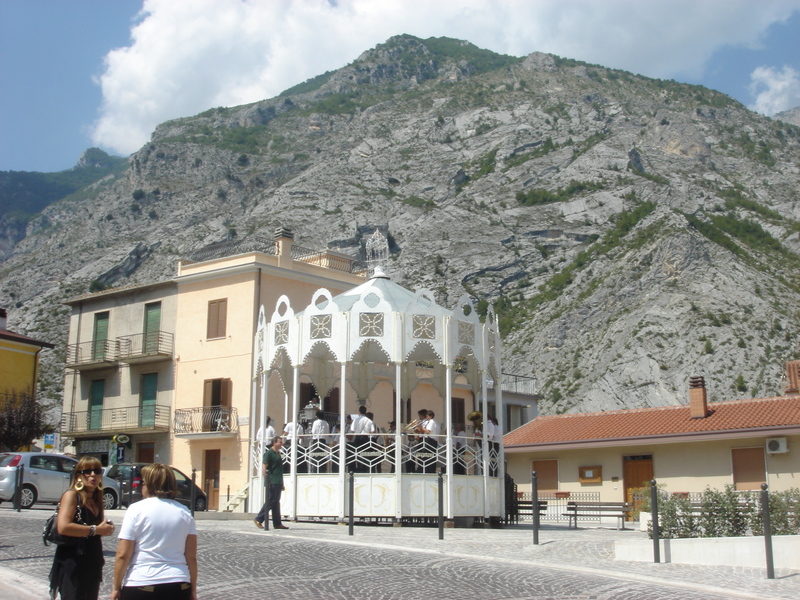 The visit of the Grotte is totally worth, but be careful because the structure is open only in summer time from 9:00 to 16:00. 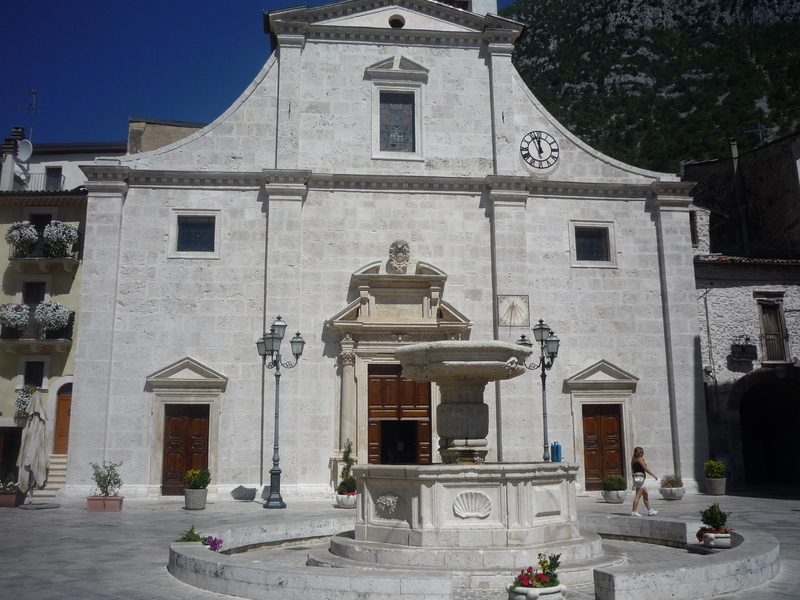 After a visit to the Grotte del Cavallone, you can go to Lama city centre. 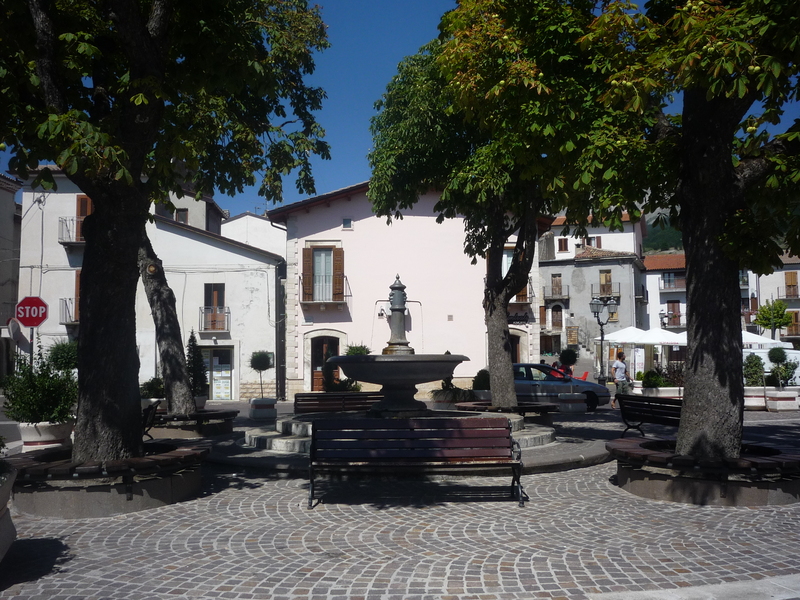 The city centre is very nice, with historical and ancient buildings, and if you still want to have a full immersion in the nature there is an interesting Botanic museum at the entrance of the village and a protected area on the top of the city (at the beginning of the mountain) where you can see chamois. Indeed, this specie was almost disappearing, but thanks to the great work people have done in this area, they are now more than 250. The 4th day will be busy but very interesting, since you can visit some typical small towns up in the mountain. Each of them will take you only few hours, but it is definitely worth visiting them. They are all located few kms from each other and the way to drive is spectacular. Palena. 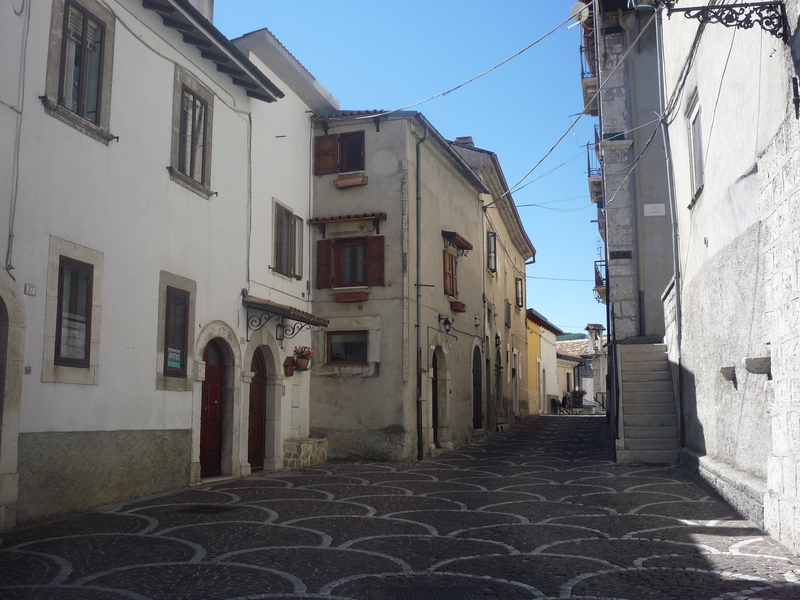 At 10kms from Lama Dei Peligni, you can visit Palena, a small village with a very nice city centre. 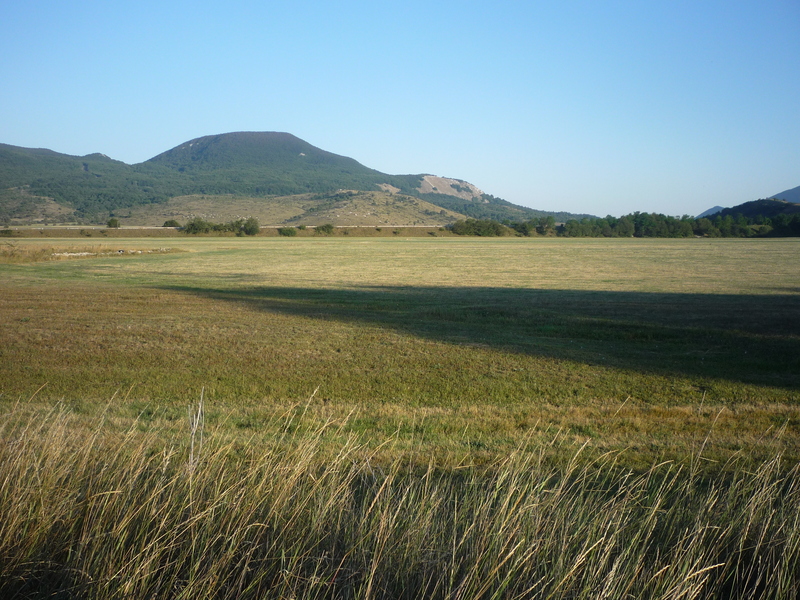 The village hosts also the Bear Museum and some paleolithic rests were found there, which shows how ancient the place is. The train station (located at around 15kms from the village) is very special, with a fantastic landscape which can look like a western movie scene, with a huge plain and mountains on the background. Pescocostanzo. This is probably one of the most beautiful towns in the area. The city centre is entirely formed by old traditional houses, made of big mountain stones. 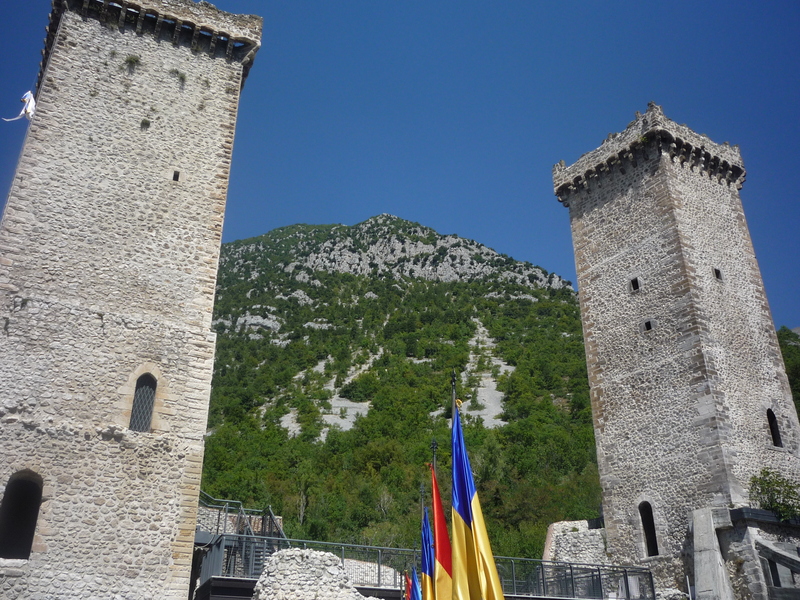 The streets are very narrow and there are also the ruins of a fortress from where you can have an amazing view. 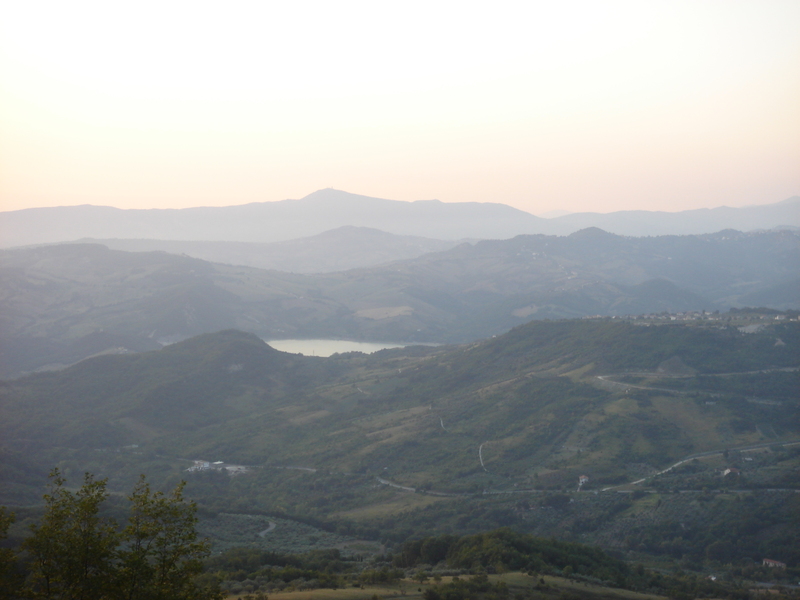 Rivisondoli and Roccaraso. These two small towns are mostly known for the ski lovers, thanks to their ski resorts. Spending some holidays in winter over there can be very enjoyable: you can ski, ice skating, or going to one of the numerous restaurants and eating some typical local food. Roccaraso also hosted the world cup of ski in 2011. 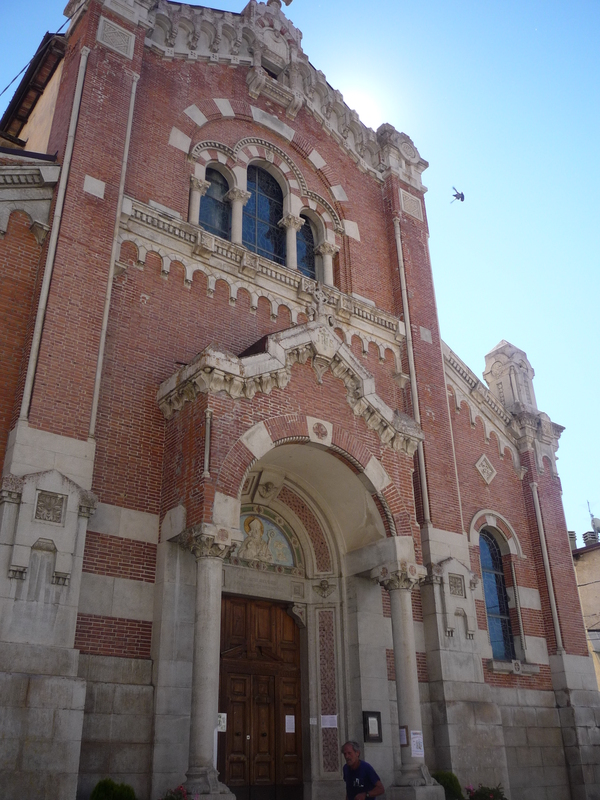 Historically, you can find some old churches and vibrant streets. Campo Di Giove. This is nice small town also famous for its ski activities. From there you can take a funicular taking you to the high part of the mountain. In summertime it’s a fresh place where you can rest and enjoy the nature around. Pacentro. 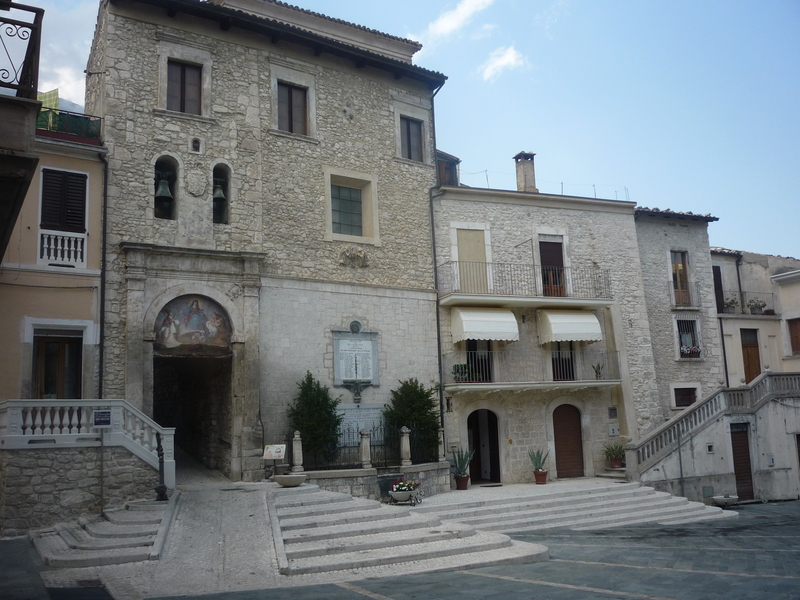 This is another jewel of the Majella area, a fabulous place that you have to visit. 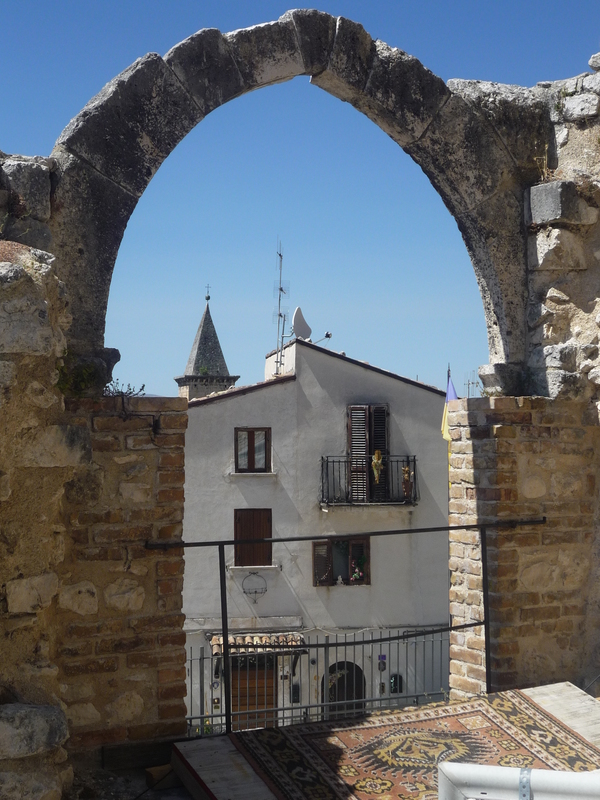 The city centre is very special, with old buildings kept in very good way, all built with stones. 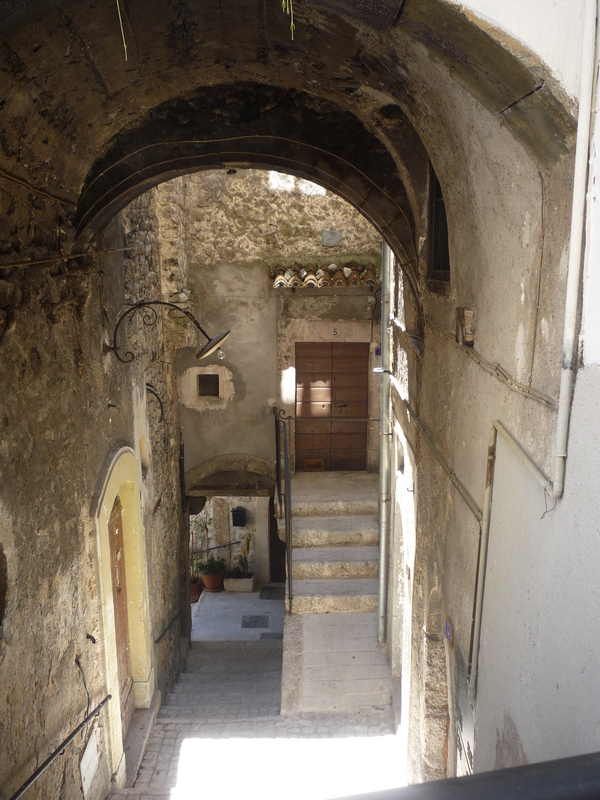 Narrow streets with ancient arcs are everywhere, and from one side they will take you to a beautiful medieval castle that you can still visit inside. The view from this place is simply unique, one of the best you could have: the whole mountain will open in front of you, with its strong green and its curves. You can stay the entire day just watching at this show, it’s a real marvel. 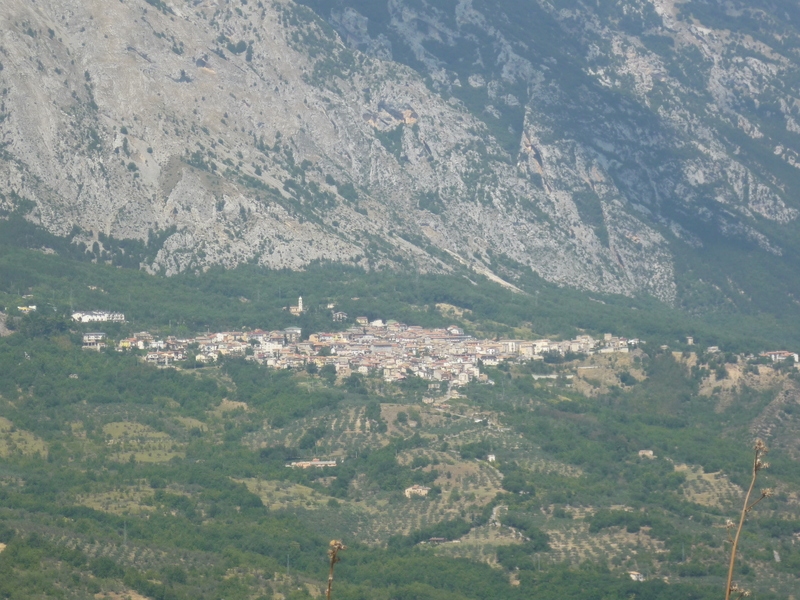 And now a small trick of Pacentro: apparently this is the hometown of Madonna’s grandparents, you can still see their house! But she has probably never been there…bad for her! 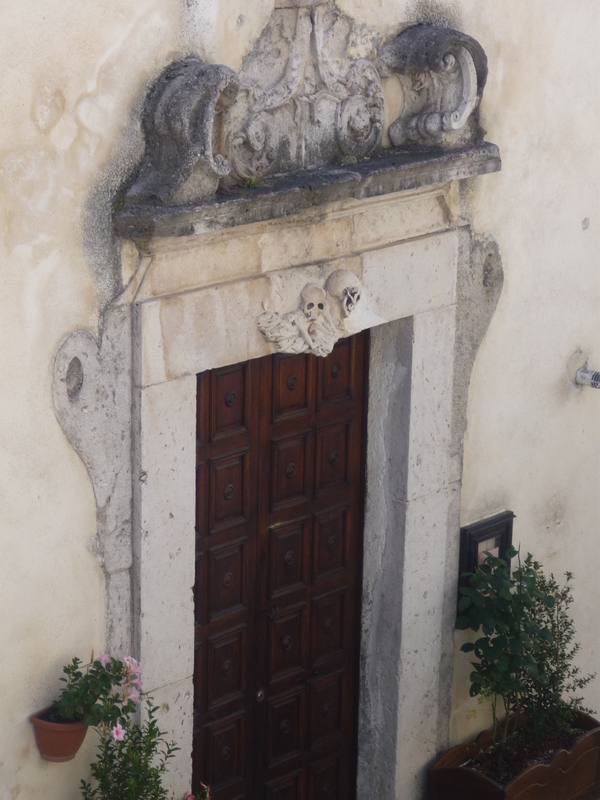 Sulmona. 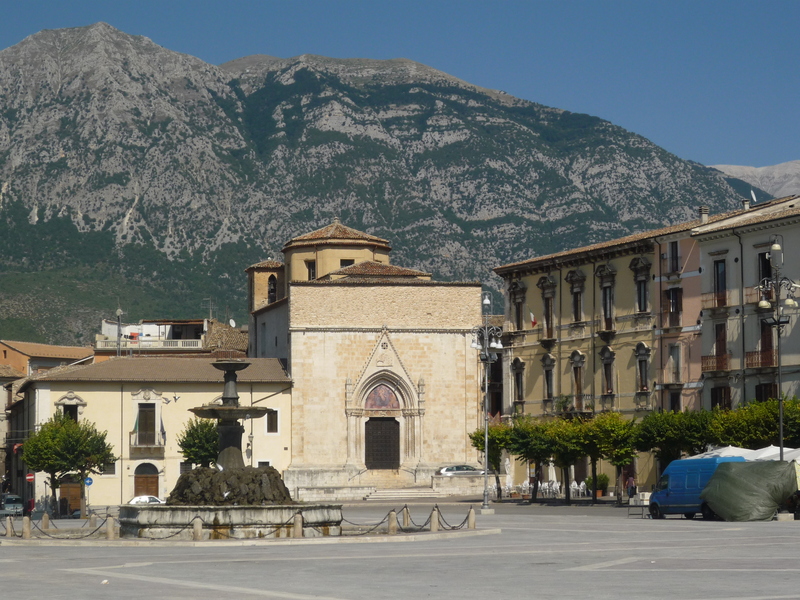 The big tour of the last day will end with the biggest town in the neighborhood: Sulmona. This is a fantastic place, plenty of history and traditions. 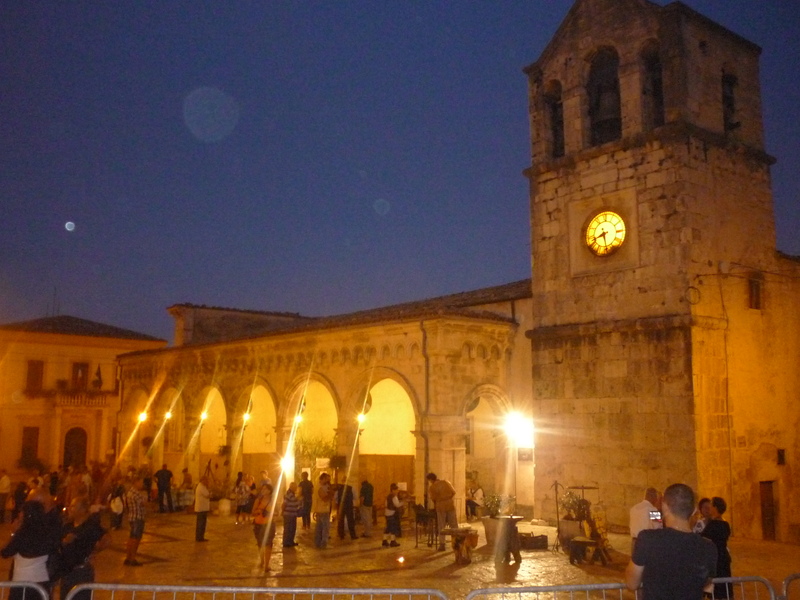 The best moment to be there is at the end of July, where you can attend the Giostra Cavalleresca, a big medieval representation with a contest between neighborhoods (represented by knights with horses). It is very similar to Siena’s Palio and it is a spectacular event to see. 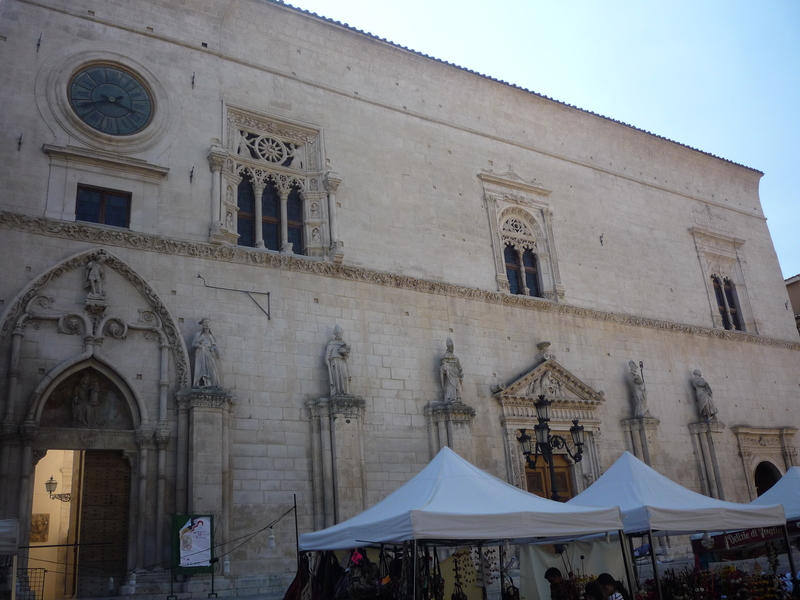 The Giostra Cavalleresca takes place in Sulmona’s main square, Piazza Garibaldi, a very large and elegant square. 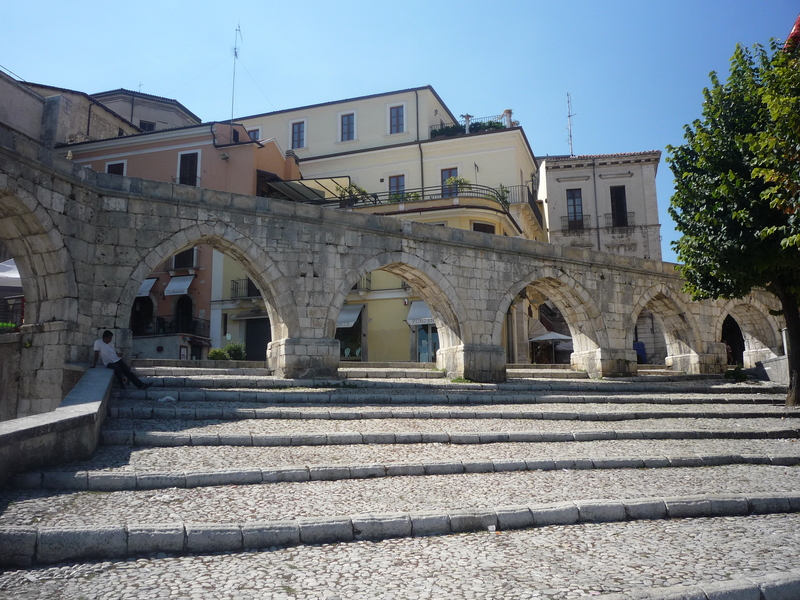 From there you can take the stairs on the main side, cross the arcs and you will find yourself in Corso Ovidio (named after the very famous Roman poets), the main street hosting several shops, restaurants and historic buildings. From there you can get lost in a net of old and small streets, with many nice houses, churches and parks. 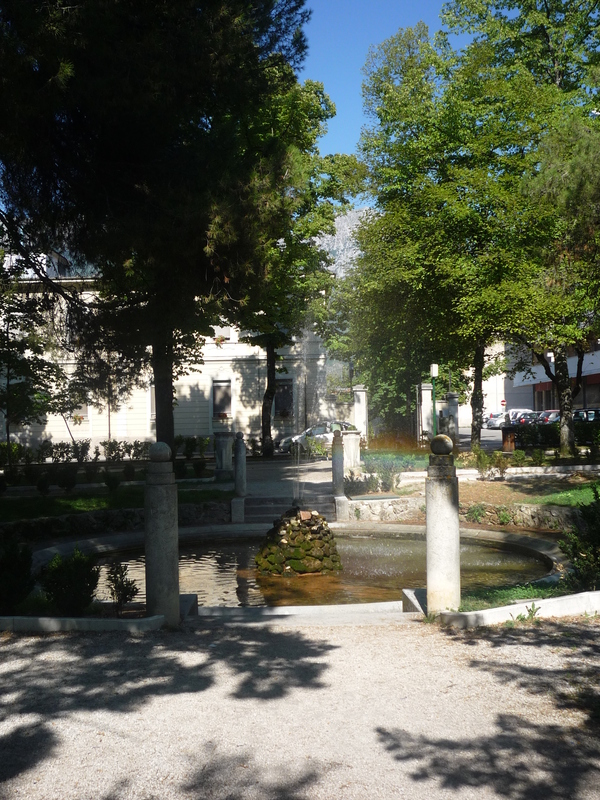 Have a walk in the entire centre and discover the charm of this place, the warm and friendly people and their traditions. 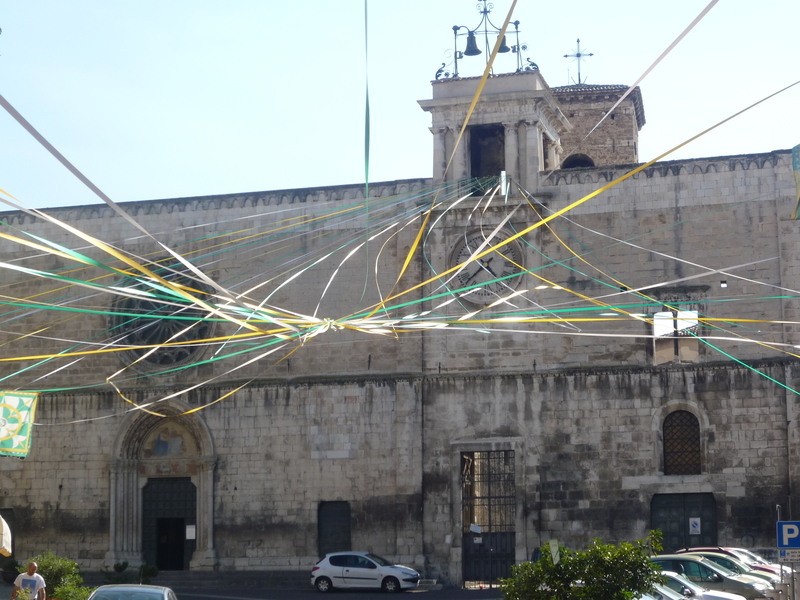 Besides that, Sulmona is the hometown of confetti: you will find plenty of shops over there with confetti made in different ways, colors, shapes. A very nice gift to bring to your beloved ones! 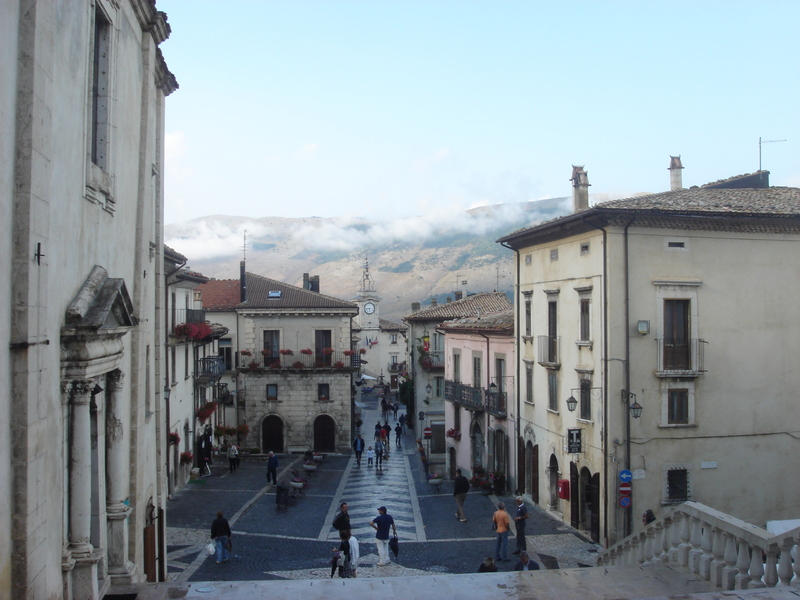 The discovery of Abruzzo and its mountain area will be a pure delight for holidays in direct contact with nature and relax, a full immersion to a region with big-heart people and strong traditions, and a discover to a various and delicious gastronomy. 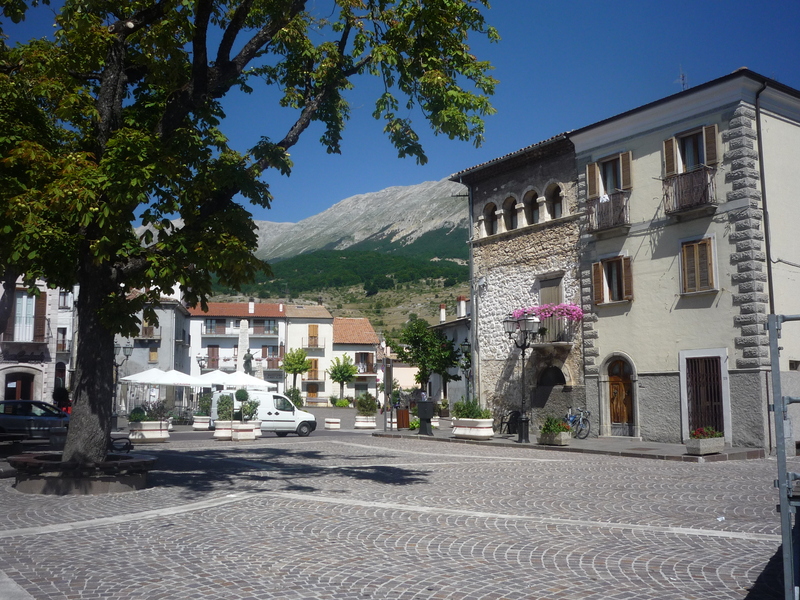 For this trip, I just planned 4 days, but of course if you have more time you can spend more days in one of the villages above or you can visit other amazing places in the Aquilano area (such as Scanno Lake, Santo Stefano di Sessanio, L’Aquila and Gran Sasso mountain – the highest one in the Appennini), or in the Sangro area (such as Bomba Lake, Villa Santa Maria, Pizzoferrato). 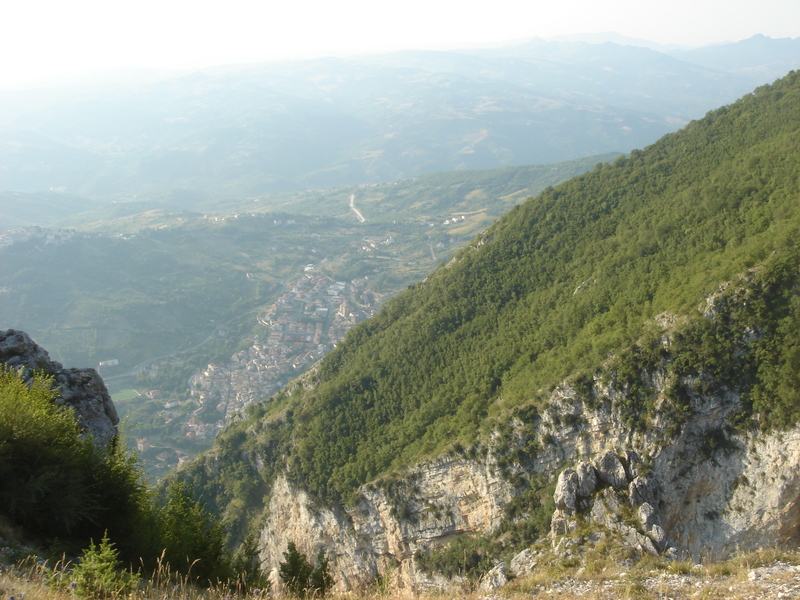 If you are more interested in the coast than in the mountain, you can then check the post “4 Days in Abruzzo (Seaside)”.